Business Did You Pay Your Internet Protection Payola? Internet providers like AT&T and Verizon are lobbying Congress hard to gut Network Neutrality, the Internet’s First Amendment. 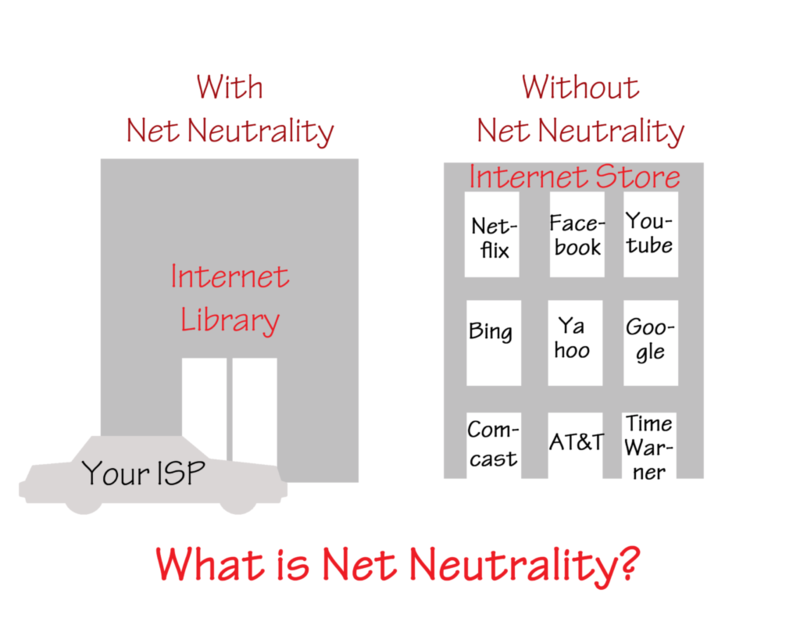 Net Neutrality prevents AT&T from choosing which websites open most easily for you based on which site pays AT&T more. Amazon.com doesn’t have to outbid Barnes & Noble for the right to work more properly on your computer. This is the equivalent of a protection racket of money paid so that organized crime leaves your business alone.